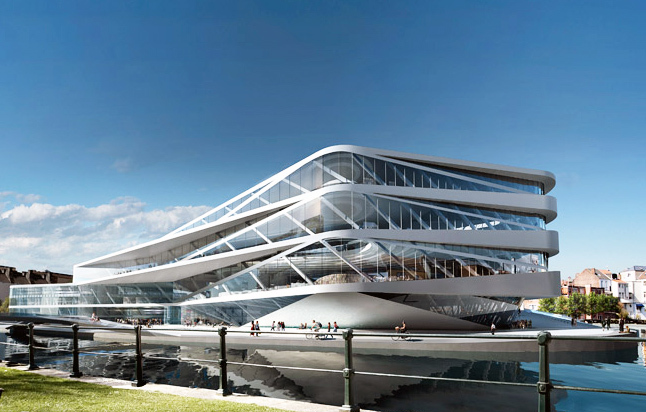 UNStudio has unveiled designs for an Urban Library of the Future in Gent, Belgium that presents a refined sense of public space. The building’s light, transparent design creates a public gathering place that doubles as a learning environment. The library features an open core that provides incredible views while allowing air and light to penetrate the interior, and a green roof adds to the project’s environmental credentials. The Waalse Krook library was carefully designed to integrate with its environs while advocating sustainable, forward-thinking design through its green roof and daylit interior. A huge central corridor floods the interconnected levels with indirect natural light while opening the space up for exploration and civic enrichment. The terraced green roof contributes additional public space while helping to cool the interior. The design carefully balances private and public areas to create a diverse environment that encourages exploration and interaction. The forward-thinking design offers a bridge to a modern Belgian identity. The relationship between the water and the surrounding historic building is established through a tapered profile that reaches out to the water’s edge. For those who are intrested, this is the winning design : http://www.dewaalsekrook.be/ In my opinion a little bit more down to earth. A green roof is not everything! Anyway, these are contest submissions, how green they really are, is not quite sure yet. 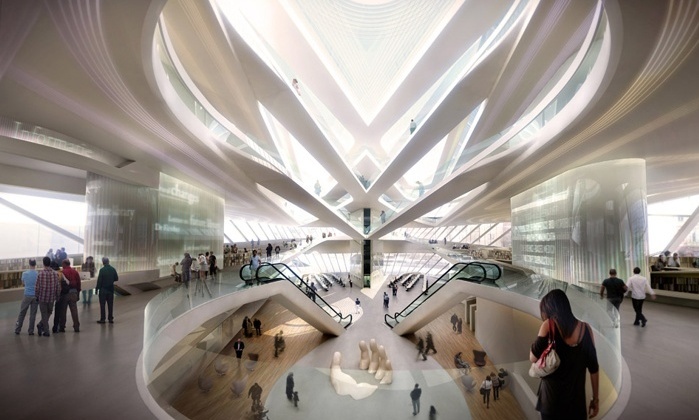 UNStudio has unveiled designs for an Urban Library of the Future in Gent, Belgium that presents a refined sense of public space. The building’s light, transparent design creates a public gathering place that doubles as a learning environment. The library features an open core that provides incredible views while allowing air and light to penetrate the interior, and a green roof adds to the project's environmental credentials.